If you’re a paleo sweet treat lover you’ll probably know that the paleo pavlova is a complete myth. It’s food for the unicorns, it only exists in our imaginations. It’s true! Our Mum made about 5 paleo pavlovas last year and chucked out about 4. She finally ‘perfected’ the recipe but there are about 100 paleo desserts we’d rather eat… and life is too short for mediocre desserts! So here it is. 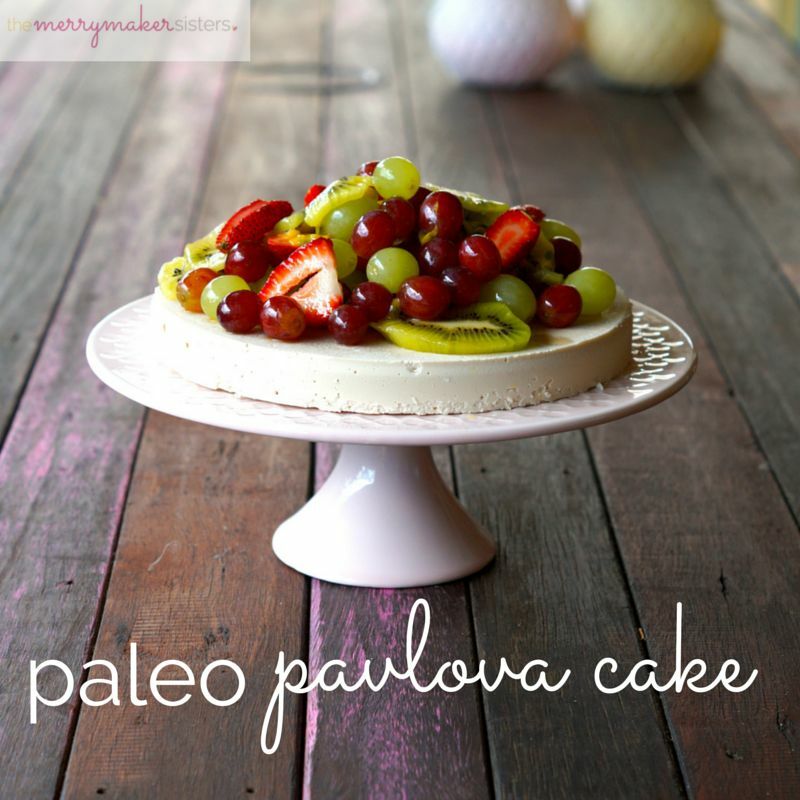 We welcome the Paleo Pavlova Cake! It’s not quite a pavlova but it sure does taste amazing… and it looks like a pavlova! So it ticks all our paleo pavlova boxes! This year the star of our pav is the juicy sweet grape! Australian Grapes are in season at the moment, they go perfectly with the vanilla base and look delightful! Wondering why grapes are good for you? Click HERE! If you give our Paleo Pavlova Cake a go this year, let us know! We’d love to see your photos on Instagram and Facebook! Be sure to use #TheMerrymakerSisters so we don’t miss it! Drain and rinse the cashews and place them in to the food processor (we use our Vitamix) along with the coconut milk, coconut oil, maple syrup, vanilla and salt. Pour the vanilla layer in to the prepared cake tin and place in to the freezer for 2 hours. Slice the fruit, pick all of the grapes, spoon out the passionfruit and place all of the fruit in a large mixing bowl. Add the maple syrup and stir carefully. Cover and place in to the fridge until the cake is set. 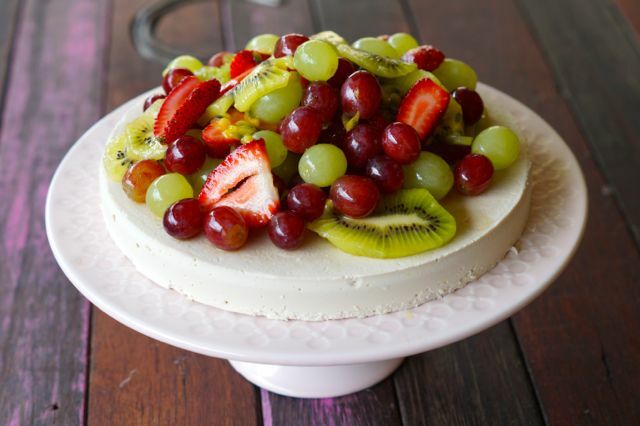 Place on to a cake stand, top with the fruit and make it look pretty! Cut in to slices with a hot knife and enjoy! Store leftovers in the fridge, best enjoyed within 3 days. *Sending huge virtual hugs and high fives to our recipe sponsor Australian Grapes. Read more about this here.